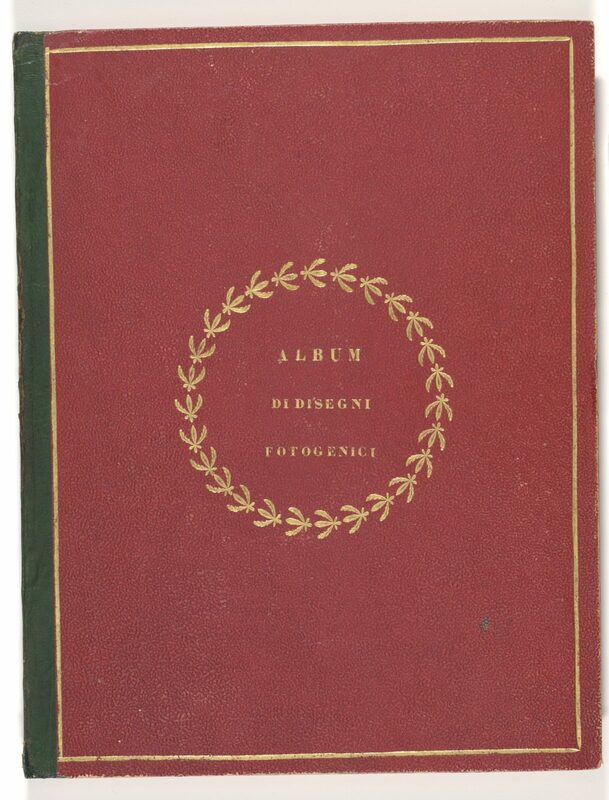 One of the most treasured objects in the Department of Photographs, Album di Disegni Fotogenici is among the rarest of photographic incunabula, containing the first photographic images seen in Italy, a trove of early pictures sent by Talbot to a fellow botanist, Antonio Bertoloni. 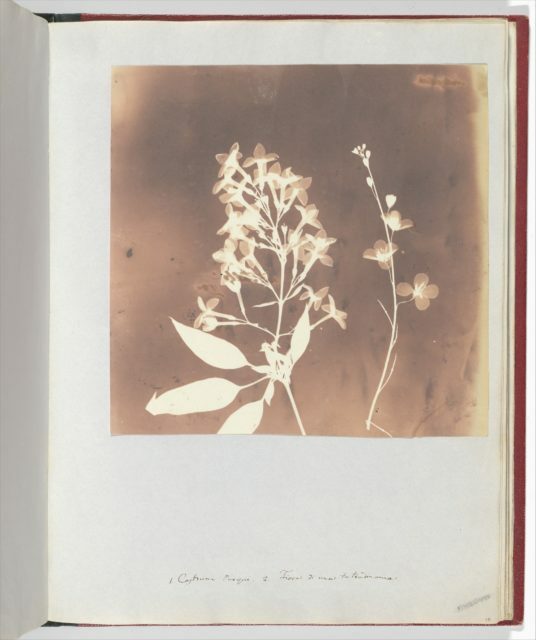 A serious and enthusiastic amateur botanist in England, Talbot had corresponded with and sent botanical specimens to Bertoloni beginning in 1826. 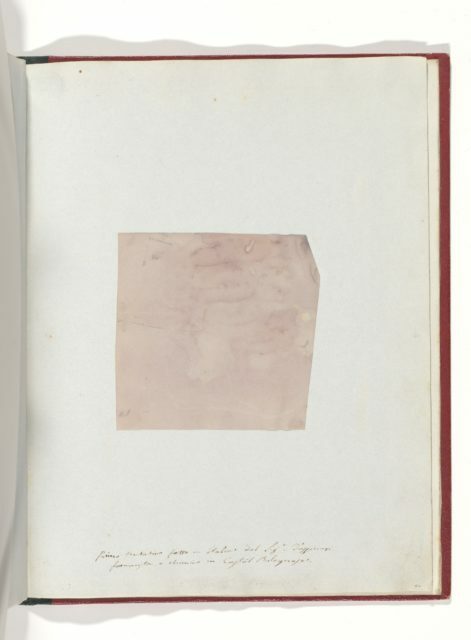 It was natural, then, that Talbot sent his colleague in Bologna a copy of his treatise Some Account of the Art of Photogenic Drawing, or the Process by which Natural Objects May Be Made to Delineate Themselves without the Aid of the Artist's Pencil soon after its publication in early 1839.More startling than Talbot's written account were the contents of five small packets he sent to Bertoloni between June 1839 and June 1840. 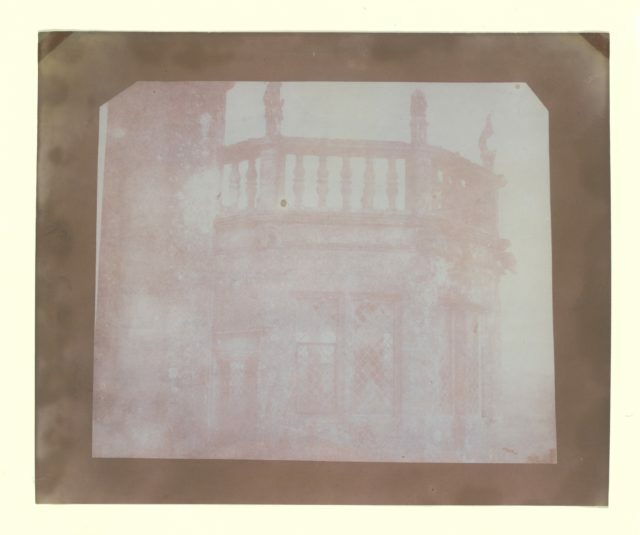 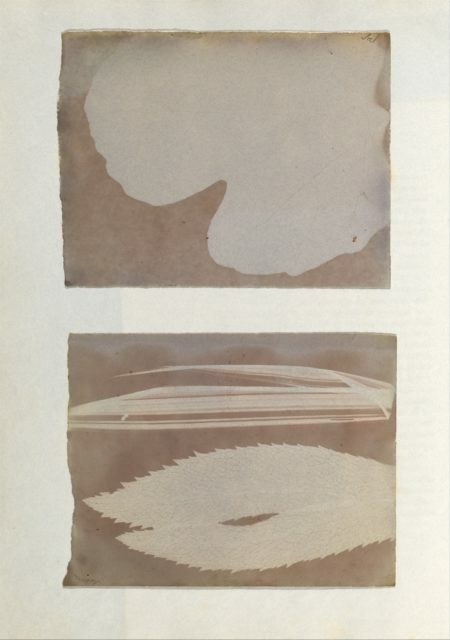 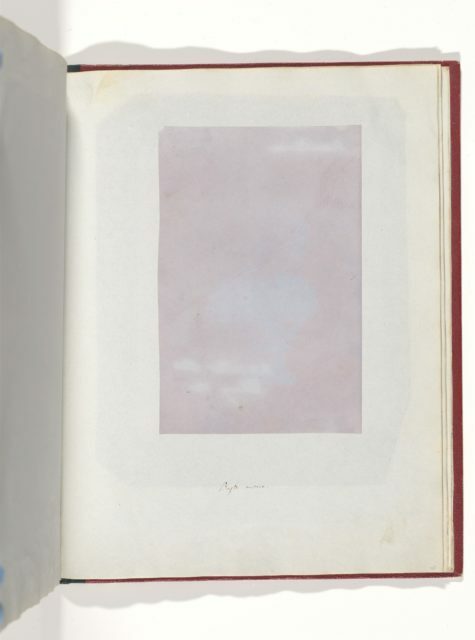 In each, Talbot enclosed examples of his new art: first, photogenic drawings made by placing objects on top of photosensitized paper and exposing them to sunlight (what we would today call photograms), and later, photogenic drawings printed from negatives made in a camera obscura (what we have come to call photographs). 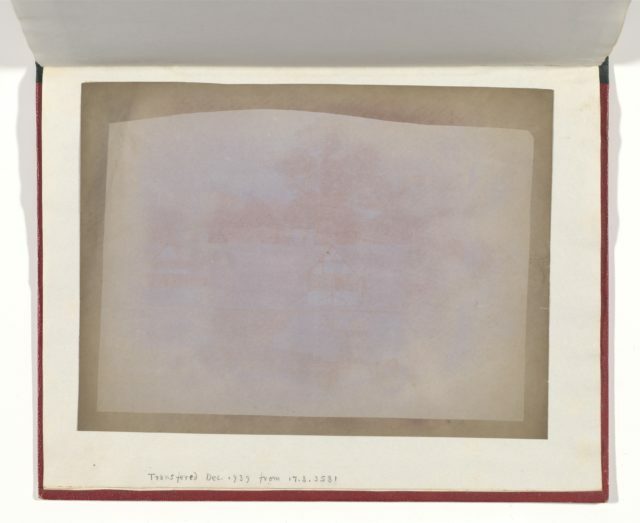 Bertoloni carefully preserved these first products of the new medium and assembled them, along with related written material, in the album now at the Metropolitan. 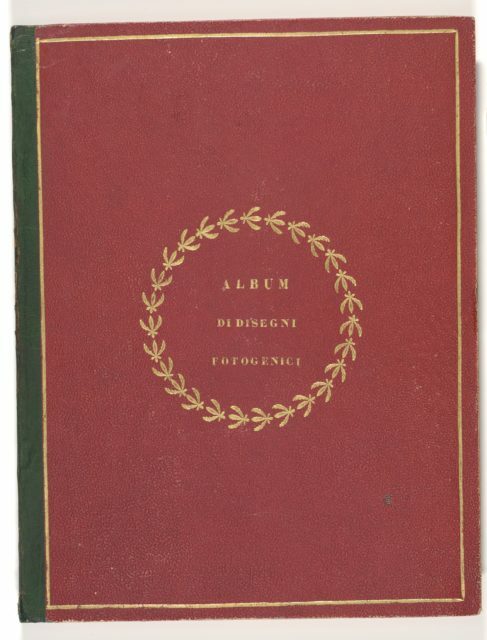 Album di Disegni Fotogenici contains thirty-six photogenic drawings by Talbot, twenty made from direct contact with objects, fifteen made from camera negatives, and one made with a solar microscope; three letters from Talbot and one from his uncle, William Fox-Strangways; three printed notices; and three photogenic drawings-the first to be made in Italy-by the Italian chemist Sebastiano Tassinari.Of the cameraless photogenic drawings Talbot sent to Bertoloni, most record ferns, grasses, and leaves. 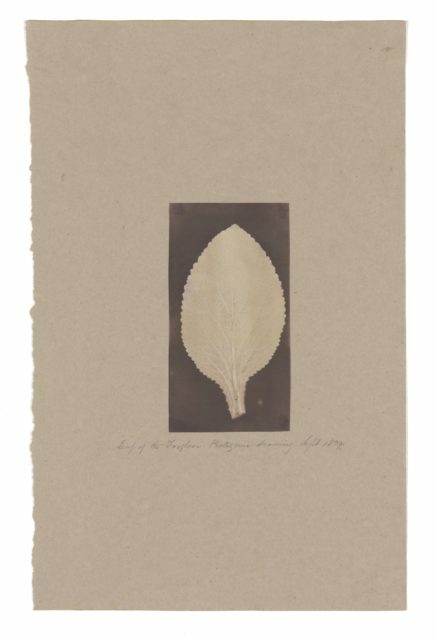 Talbot suggested in one of his letters to Bertoloni that naturalists would find the accurate recording of botanical specimens to be among the most important uses of his invention, especially when the photogenic drawings were made through a solar microscope. 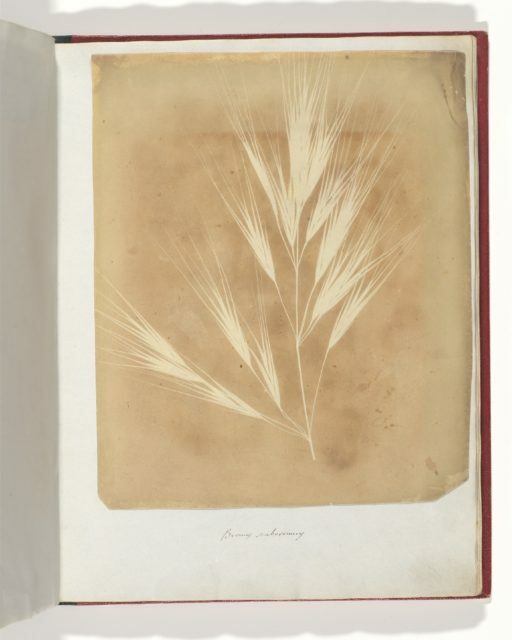 Indeed, very fine details of leaf structure are clearly visible in several of the examples preserved in the Bertoloni Album. 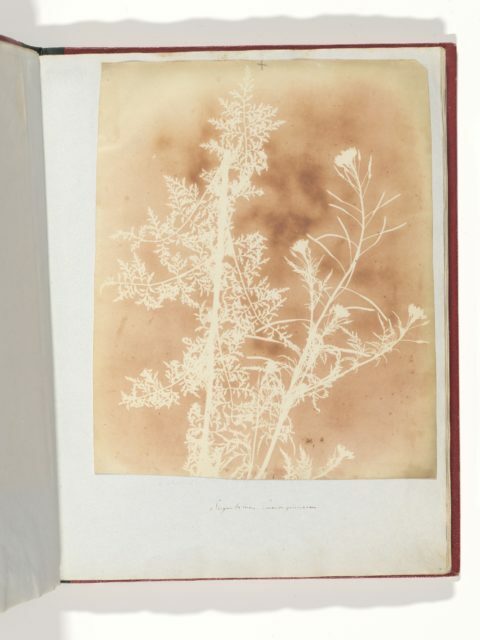 Talbot also sent photogenic drawings made from direct contact with a printed picture, a gauzy piece of fabric, and a section of lace. 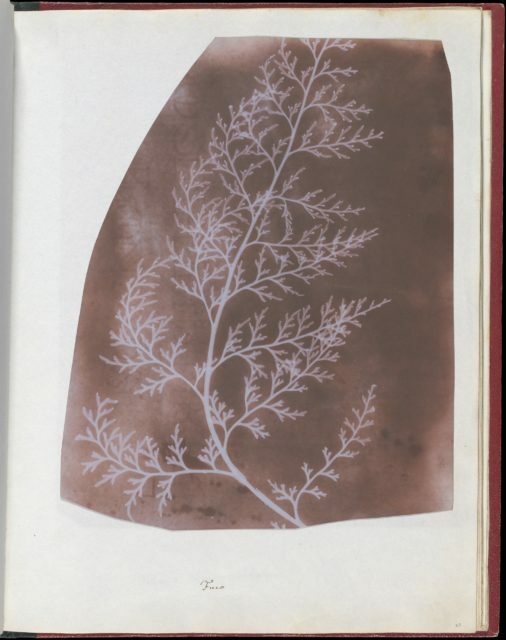 He demonstrated the usefulness of the solar microscope with an enlargement of lace, magnified 400 times its true surface area, which shows the intricate knotting clearly.